Ever noticed a familiar logo or brand name when you were watching your favorite film? Well, if you have, that is how filmmakers get extra money to finance their films. You would be surprised at just how much product placement actually goes on in films. Huge sales were generated from James Dean using an Ace comb in Rebel Without a Cause. Since then films have included products of all shapes and sizes to help generate a little extra cash. While the exact figure has never been confirmed, it is estimated that for the new James Bond film, BMW paid between $30 and $50 million dollars to have their car featured. With this in mind, let’s take a look at the top 10 examples of product placement in film. Remember that really cool scene when Kyle Reese first appears in a huge flash of light? Well, due to the time travel process he appears out of nowhere completely naked. To help with his clothing issue, shortly after we see him break into a clothing store to get some clothes. Unfortunately for Kyle, the police chase him into a store and he is forced to hide in a changing booth. Well, after they pass, his feet drop down to reveal a brand new set of highly fashionable (for the time) Nike trainers. For any kid growing up in the 80’s or 90’s, the Back to the Future trilogy has to be high on their list of best films. Not only does Marty Mcfly get to try out time travel, he also gets to do battle with bullies and win too. Since seeing the opening scene, few of us can say that we haven’t fantasized about riding a skateboard to school behind a car either. Well, the franchise also worked out very well for Nike and Pepsi, who did extremely well out of product placement. 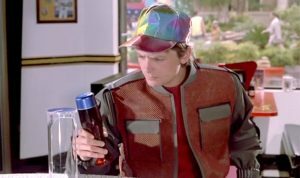 How many of you spotted the label on the futuristic set of boots that Marty wears in the second film? Well, they were a limited edition set of Hyperdunk sneakers that Nike specially created for the film. They only made 1,000 pairs, which of course sold like hotcakes. 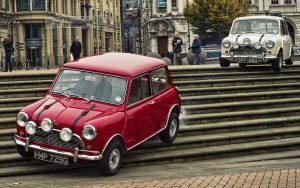 The Mini Cooper’s international reputation was made not just once, but twice by the original Italian Job movie and its remake. The original is a classic of British cinema and features one of the most memorable endings of all time. Scenes of the mini outrunning the pursuing police by darting down thin alleys and through sewer systems made the Mini into a global icon. It was little surprise that with the launch of the revamped mini cooper a few years ago, Hollywood would jumped at the idea of a remake. The remake featured Mark Walberg and 3 brand new minis to help him and his crew pull of the ultimate heist. Who amongst you would ever dare to say that you didn’t find yourself creasing up with laughter during Wayne’s product placement scenes? The scene where Wayne ironically mocks obvious product placement saying, “it’s like, people only do things because they get paid, and that’s just really sad”, had audiences roaring with laughter around the world. 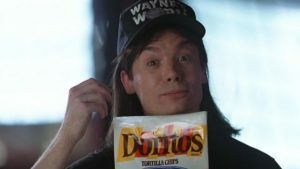 The simple truth is that while Wayne and his sidekick Garth are mocking product placement, they were in fact getting paid handsomely for it. What could be better than that? Few people realize it, but each branch of the U.S armed forces have a special unit that is tasked with promoting it. There has been no better example of the success of these units than the film Top Gun. The film featured some stunning combat scenes, including carrier landings, all of which were performed by U.S navy pilots. Without the cooperation of the U.S navy, these scenes would have drastically increased the cost of the film. 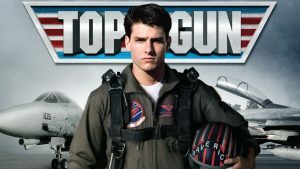 Unsurprisingly, the number of candidates trying to enlist into the U.S navy skyrocketed after the success of this movie. A long time ago, Steven Spielberg had to work hard to get funding for his films. 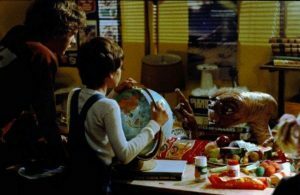 With ET, he decided to use some product placement in the film. After initially approaching Mars, who rejected his offer (big mistake), he made a deal with rivals Hershey. The deal was that Reese’s Pieces would help the film’s launch campaign by investing $1 million, and in turn, they would be allowed to use the film to promote their products. Well, Mars must have been kicking themselves as sales of Reese’s Pieces jumped almost 65% the following year. The Ford Mustang was already a hot seller by the time the film Bullet was released. Ford had sold an estimated 2 million cars in the 5 years or so before the film came out. The film certainly did nothing to hurt sales, however. 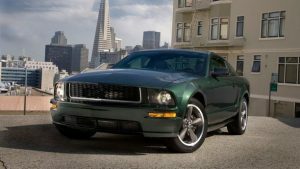 Millions more would be sold in the preceding years, while Ford would regularly cash in on its Bullitt fame. The Mustang may have already been on its way to becoming an icon. However, having a blockbuster film that featured one of the best car chases of all time and the dashing Steve McQueen driving one, sent the Mustang’s reputation into the stratosphere. It is amazing how few people actually know that Coca Cola product placement featured in Ridley Scott’s Blade Runner. 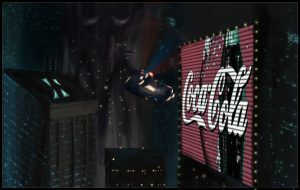 Cola ads feature in scenes when the main character Deckard, played by Harrison Ford, is seen flying between locations. Huge billboards that tower over the city advertise everything from trips to the off world colonies to Coca Cola. 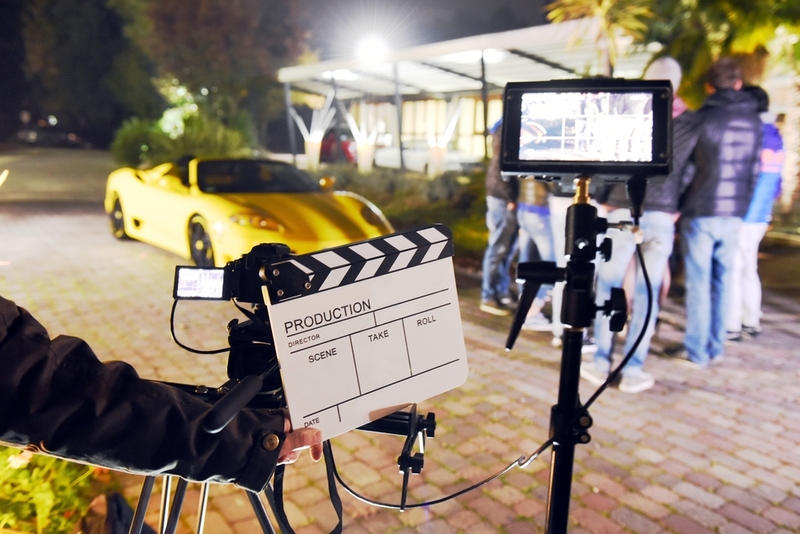 BMW not only gave the production access to some of their most expensive sports cars (one of which was destroyed during filming), but they also paid heavily for the pleasure. 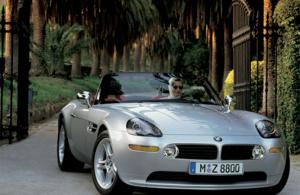 While it is not known exactly how much BMW paid, having their Z3 featured in Goldeneye made BMW $240 million. So whatever they paid, their product placement will certainly haverecouped the investment. And with Heineken having paid a far greater $45 million for their product placement in the same film, it is clear that getting your product into a blockbuster film, is more than worth the money. 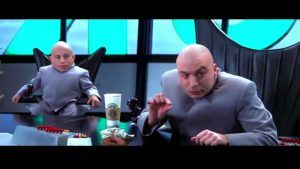 The Austin Powers trilogy was another smash hit for comedian Mike Myers. Having crammed in plenty of laughs at product placement during Wayne’s world, Myers decided to have a go at it again. This time it was the turn of Starbucks, which has been invested in by the evil organization run by, well, Dr. Evil. Rather than poking fun at Starbucks directly, Myers chooses to associate them with an evil empire. He also makes fun of the difficulty posed when drinking some of their beverages. Who can forget that hilarious scene as Dr. Evil tries to drink one and ends up with a foam mustache?